Viber Media, provider of iPhone (s aapl) and Android (s goog) apps that let users talk and text for free over 3G and Wi-Fi networks, is built upon a foundation of the MongoDB NoSQL database running atop the Amazon Web Services cloud(s amzn). Viber enables users to talk and text for free with other Viber users without having to sign up, create a separate account, or log in. Once the app is launched, the user simply enters his or her cell number and is automatically part of the community. MongoDB manages the intercommunity data exchange that enables users to call and text one another. 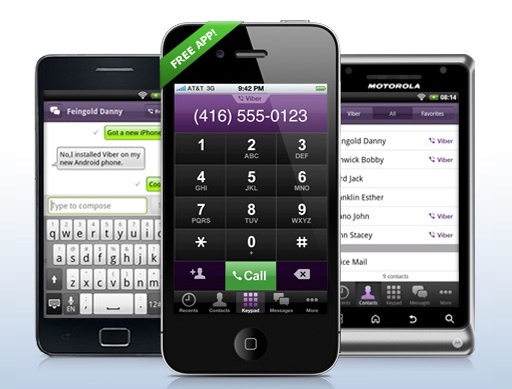 Each time a Viber user connects a cell phone to the network, MongoDB receives call-related information. Viber has been using MongoDB on Amazon Web Services (AWS) since early 2011, and its deployment has grown to 130 nodes in under six months. Those 130 nodes are responsible for handling 11 million minutes of calls daily by Viber’s 18 million active users, making Viber the prototypical case study for both NoSQL and cloud computing. Web-based startups with data-driven apps that seem likely to catch fire among consumers probably shouldn’t mess around with relational databases or physical servers, lest risking not being able to keep up with traffic on their systems. It’s possible, of course, to build large infrastructures upfront, but that costs lots of money that investors once burned by the dot-com bust probably won’t be willing fork over. You know, just in case those millions of customers never show up. well thats funny cos my phone keeps on asking to activatevia phone call….